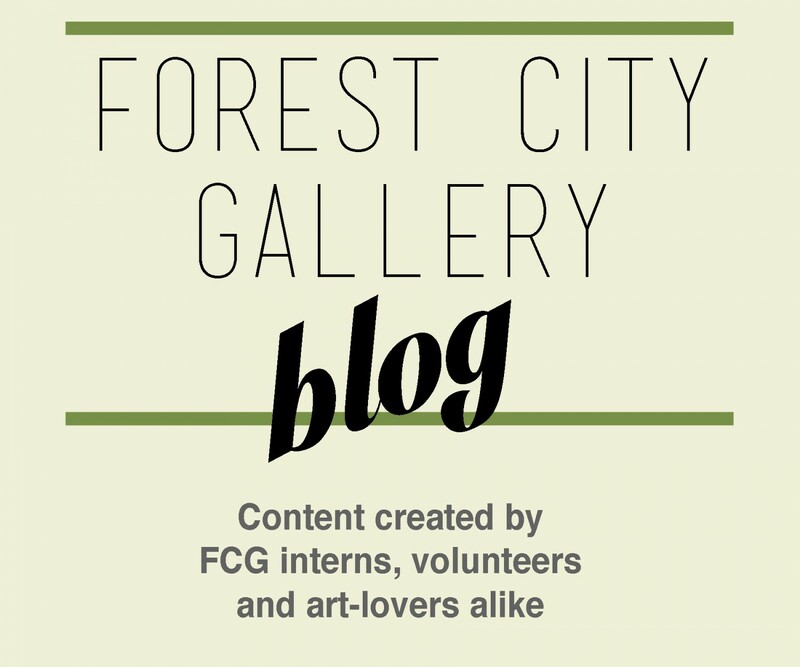 Forest City Gallery’s newest Intern, Janeen Mills, visited DNA Artspace earlier this month to view Parker Branch’s Has Things in Common . Below, Janeen offers some observations about the first time she viewed Parker Branch’s reverential exhibition. 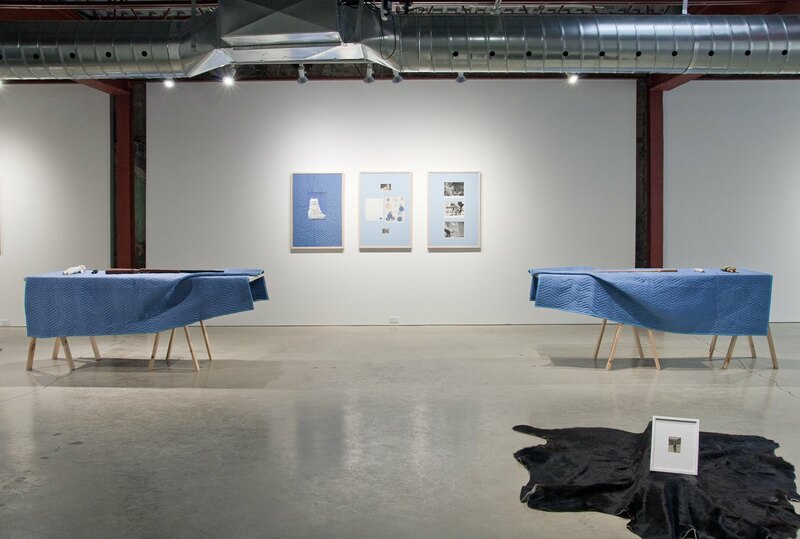 London-based artists Anna Madelska and Jason Hallows own a collaborative curatorial gallery/project Parker Branch, previously existing on Stanley Street in London, Ontario. Mixed between found objects and art pieces the small installations featured in the micro-gallery seek to find the meaning of things and their production. Has Things in Common proposes relationships between objects that do not necessarily have an obvious connection creating curiosity. 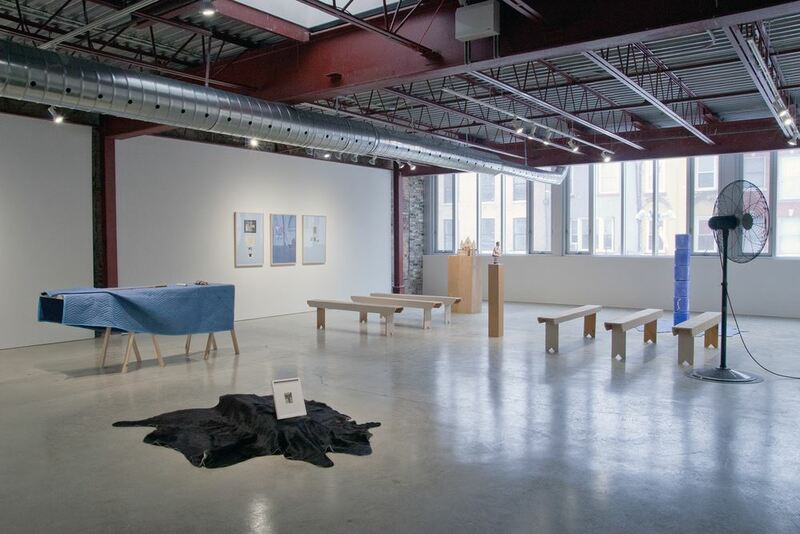 The artists’ seek to create an environment where these heterogeneous objects can form a connection. As a retrospective of the latest of Parker Branch’s shows, this is the largest off site exhibition to date. The project, ongoing for six years at Parker Branch – a smaller location has allowed the project to re-contextualizes the pieces in a broader scope within DNA’s abundant space. The objects amalgamate and take on a new form; expanding its discovery of things with the addition of new ideas. When first arriving, I felt the space was sparse, but as I went around and explored the pieces I realized the objects filled the space with their many possibilities of meaning. “Burden beasts and salted feasts, Judy Reeve, campfire revival and Endless Endless”, each expose a narrative. As pieces, which contain parts of found objects that have been abandoned and stripped of value thus their meaning, Parker Branch rediscovers these objects and gives them new significance. An object is just an object until it is owned and valued by someone. Without feelings of attachment to it, it is just another object. Objects have a very important place within our culture and society. Our perceptions of objects give material form to ideas like identity and are representations of history, beliefs and ideologies. With an understanding of this social construction, Parker Branch seeks to create a dialogue between an objects meaning and how it becomes a valued possession in contrast to another object in the trash or thrift store. Every object has a story that goes along with its past, Has Things in Common allows the viewer to asses this and discover the exhibit’s pieces past meaning and new meaning imposed upon by their rediscovery of new owners. Viewers are welcomed to investigate the survey of objects and their staging, which breathes meaning into their forms. Viewers are able to be curious and let their consciousness enter an imaginative realm despite always being pushed aside in place of logic and reason. One object that stood out to me was an embossed white cat taped to a glass frame, which a blue moving blanket rests behind as a background. It reminded me of a house cat that a family would have loved and integrated into their family. And perhaps as a tribute to this cat passing on this was made to remember the cherished family member. In a few seconds of seeing this object, this is the meaning my imagination created, but all the objects are open to interpretation and can have multiple meanings. As a project that promotes curiosity, one could imagine a different context for the cat and the hetergenous objects it shares the space with.